Every creature was readying to see a mouse. With hopes that a ride to the airport soon would be there. While visions of Space Mountain danced in their heads. Had just settled in to check the PC. But my FastPass confirmations and Advance Dining Reservations, too! I opened the door to see our kids in motion. I know you’re excited but we want to be at our best. Wishing you love, peace and magic this holiday! 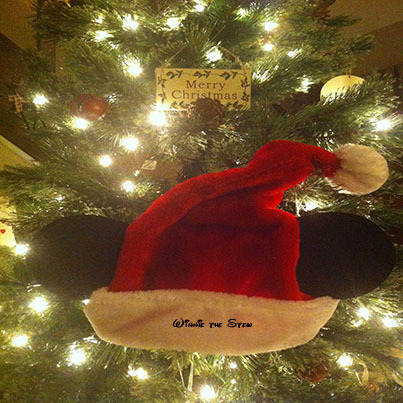 Will MyMagic+ Make Your Disney Vacation a Little More Magical? 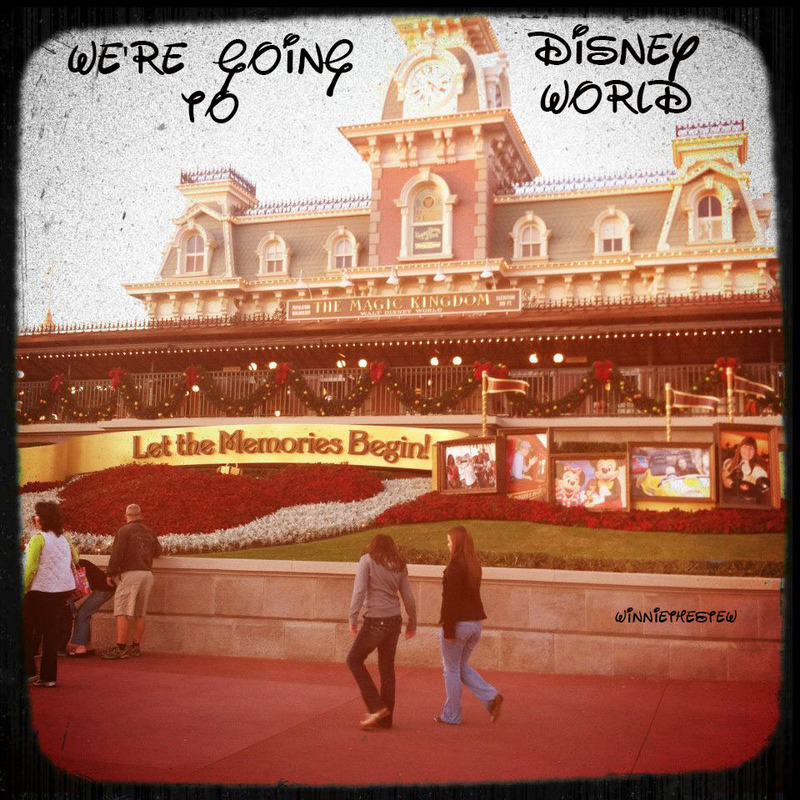 Are you a meticulous Disney vacation planner like me? Then you may absolutely LOVE the new MyMagic+ process of Disney vacationing. 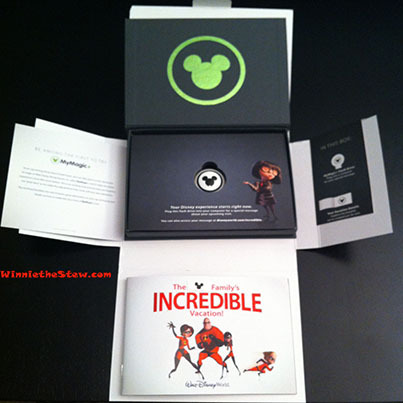 Our next trip is scheduled for the Spring of 2014, and we just received our MyMagic+ starter kit in the mail. The flash drive lights up! Upon plugging in the flash drive….my eyes widened as I watched that thing light up. 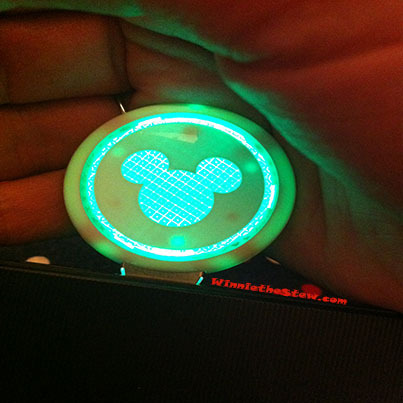 The flash drive is reminiscent of the MyMagic+ Mickey icon that we will now see throughout the parks. The flash drive takes you to a welcome video starring Edna Mode from “The Incredibles” and a knowledgable computer friend. Edna introduces viewers to the MagicBand; a bracelet that guests of the resort will be wearing throughout their vacation. The MagicBand will serve as your Disney Resort room key, admission ticket, dining plan card, FastPass, and can be used to make purchases at onsite shops, food vendors and restaurants. The second part of the welcome video takes viewers to the MyDisneyExperience website to begin planning. You will need to login with your established Disney.com username and password. If you do not have one, you can easily set it up through the link. Once you are logged in, you will be shown instructions on how to link your hotel and dining reservations to the MagicBands. You will also have the option of selecting your MagicBand color and the name you wish to be printed on the bracelet in order to further personalize your experience. Two months prior to your vacation, you are permitted to start making FastPass selections. This is a newly introduced process that allows guests to select their FastPasses for each day of their vacation in the parks. I am also hearing that you are only allowed to select FastPasses for one park each day…..so park hopping won’t grant additional passes. This tier system is something new that Disney is trying since the FastPass selection system was causing FastPasses to be unavailable to non-MagicBand users. The FastPass method is constantly evolving until a solution is found that will be a positive experience for guests. Errors and issues will arise during the trial stages of any new process or service. This testing phase lets Disney know what is currently working and what is not up to the standards that guests look to from the organization. The process so far as been very smooth, with the exception of adding our dining reservations to MyMagic+. Even though I have my confirmation numbers, I was getting error codes from the site, telling me that the service was unavailable. After a few more tries, I was able to link the reservations to my name, but not to my husband’s MagicBand. I will try this again in a few weeks and if it is still unavailable, I am sure it can be easily corrected with a quick call to Disney. The other issue that I can see as being an issue is the over planning. While I enjoy a creating a daily park plan to schedule which rides we go to and when to ensure we make the most of our day; scheduling a FastPass 2 months in advance takes away some of the spontaneity of the vacation. We have to make sure that there is enough time in between the FastPass and our dining reservations, for example. This process will take some additional planning, but it will be interesting to see how it all works out! I will know more about the MyMagic+ within the next coming months as we continue to plan and eventually make it to the resort. I can post more details as we go through this exciting new test phase. What do you think of the new MyMagic+ process? Do you think this will enhance your Disney vacation? Many of us have probably seen the videos online of the elaborate ways that parents tell their children that they are going on a Walt Disney World vacation. Some tape their child’s reaction as they reach that famous entry gate, others plan for a magical reveal at home. Surprise vacation announcements can be a fun part of your Disney Vacation planning process. Have a “Foods That Are Shaped Like Mickey” dinner theme. Arrange your dinner foods in the iconic Mickey ears shape and listen to Disney tunes as you dine. For dessert, bring out a cake with writing that announces your upcoming trip. Write and mail an invitation to Walt Disney World from your child’s favorite Disney character. Plan a treasure hunt in your backyard. Make a map with instructions and hide clues that will eventually communicate the big news. Order some personalized Mickey ears or customized t-shirt and leave them on the dining room table for a Good Morning surprise! If you want to make your announcement on the day of your trip, lay out a Disney Princess dress or pirate outfit and explain the occasion for the fancy dress up. You can even plan your vacation announcements around birthdays, holidays and special family events. However you decide to make your announcement, be sure to capture the moment on video so that you can enjoy it for years to come! Have you ever surprised your family with a magical vacation announcement? Since we have already paid the hotel bill in advance for our upcoming Disney Vacation, the focus has shifted to saving for meals and tickets for the parks. In our household, we have introduced the Disney jar. It is proving to be a great way to save money; in fact, it is so successful, that we may need a bigger boat…er, I mean jar. Your Disney jar can be anything from a simple mason jar, to one of those large empty water cooler jugs. Make decorating your jar into a family event and use paint, stickers or even make a likeness of your favorite Disney character. Let your inner Bob Ross out for the occasion! 1. Whenever a family member leaves change or paper bills in the laundry, the money goes directly into the jar. 2. Money saved through couponing or by using a store discount card is usually printed at the bottom of your receipt. As soon as you come home from your shopping trip, visit the jar and deposit an equivalent of the funds you saved. 4. 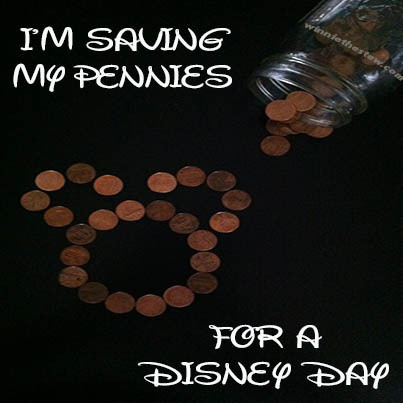 Anytime you see a penny and pick it up, put it in the Disney jar for good luck! 5. Yard sales are a terrific way to earn a little extra cash. Round up some items that you no longer use and have a family yard sale day. All the proceeds can go towards your trip. 6. Make saving into a game. Allow each family member their own jar and give a small prize to the person who saves the most money every week. 7. Make counting your Disney funds into a weekly family celebration. Create a tracking chart so you can see the progress of your efforts. Each week, choose a different family member to be the designated “Disney Jar Captain” who counts the money and writes down the total. Having a visual of the money saved will help to inspire additional contributions to the jar. The most important part of the saving process…just have fun! 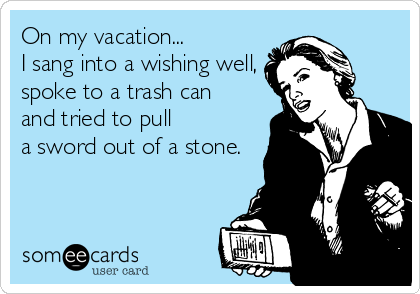 Knowing that the end goal is to use that money for a magical vacation should be what drives the saving. How do you save for your trip? Do you have any tips that you would like to share?